When you see a number of people shouting and rooting for one man at a casino table, the odds are they will be playing craps, probably the most entertaining game in land based casinos. While the online version of the game may be deprived of the vociferous support, it is likely to get you tied to the computer for days to come. Even though craps is clearly a game of chance, there are certain craps strategy tips that will see you neutralize the house edge and improve your chances of winning. 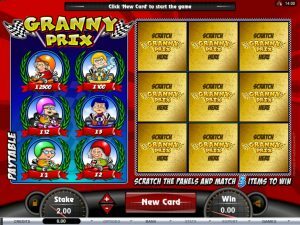 Even though the game seems pretty easy to grasp, that is certainly not the case and one of the best strategies for online craps is to get to know the game before playing. Be sure to carefully read one of those tutorials before you start playing, so that you will gain a full understanding of the game and learn which bets are good to take, according to the house edge on that particular bet. The best bet you can take on the come-out role, i.e. the first bet in the game, is the pass line bet, with the house advantage here just 1.41%. Pass line bet means that you will win if the shooter rolls 7 or 11 and lose if he rolls 2, 3 or 12. If the shooter rolls any other number, that number will become a point, and you, as well as the shooter, will be entitled to a payout if he again rolls the point number before a 7. After the shooter establishes a point, you can place an additional bet called free odds bet, which is the best bet you can place in online craps seeing it has zero house edge. The best online craps strategy is to always place a free odds bet, with some casinos allowing for this bet to be two times bigger than the original pass line bet. In such casinos you should place lower pass line bet and higher free odds bet. Free odds bets can be increased, decreased or completely removed at any time. Come bets can be placed after a point has been established, meaning that after you place the come bet, next roll will become a come-out roll for you. If the shooter rolls 7 or 11, you win, if he rolls 2, 3 or 12, you lose and every other number will become a point for you. By placing a come bet, you can win if the shooter rolls his point or if he rolls your point, which definitely increases your chances. Another good strategy for online craps is to place two come bets after the original pass line bet. 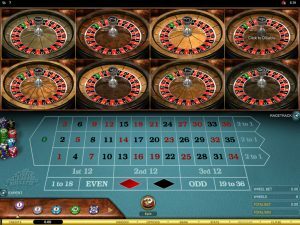 This way you will have three numbers working for you and a majority of online gambling experts believes this is the right number of bets to have in any moment in time. As soon as one of your bets win, do place another bet so that you would always have three bets in play. Absolutely the worst online craps strategy is to place proposition bets. 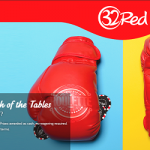 Unlike most other bets, the proposition bets are usually settled after just one roll of the dice, which makes them appealing to some players, but our advice is to never take these as the house edge is huge, up to 13.9%. Big 6 and Big 8 bets will see you win if the shooter rolls 6 and 8 respectively before a 7, but we wouldn’t recommend placing these bets as the payout is 1 to 1 and house edge is around 9%, which is pretty big. Hard 4 and Hard 10 are also considered poor bets as the house edge is around 11%. The payout here is 7 to 1, but chances of actually getting a pair of twos and pair of fives respectively are very low. 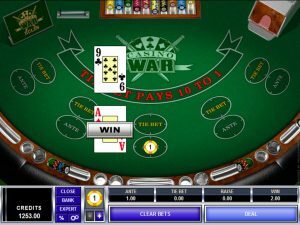 If you want to try out some of these strategy tips or just play to kill off some time, we suggest you head over to our section that list some of the most popular online craps casinos. We also got some cool craps for mobile phones. Check our mobile casino list for more info.